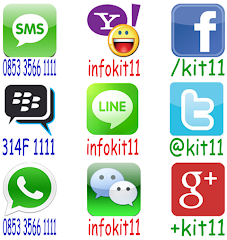 Hidetoshi Nakata, (born January 22, 1977 in Yamanashi Prefecture), is a retired Japanese football player. He was one of the most famous Asian footballers of his generation. Nakata began his professional career at age 18 in 1995, with J. League side Bellmare Hiratsuka (now Shonan Bellmare). He represented Japan at the 1996 Olympics, where Japan upset Brazil. 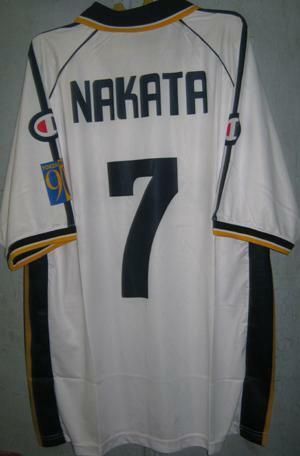 Nakata also appeared in the 2000 Olympics. After the World Cup in France, he moved to Perugia in Italy's Serie A. In January 2000, after one and a half seasons at Perugia, Nakata moved to Roma for 42 Billion ITL, whom he helped to win the scudetto. 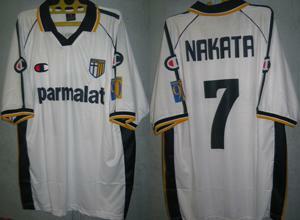 The highlight of Nakata's career at Roma came on May 6, 2001 in the Serie A match against Juventus at Stadio Delle Alpi. After replacing Francesco Totti in the second half with Roma trailing 0-2, Nakata netted with a 30-yard screamer beyond Juventus goalkeeper Edwin van der Sar's reach. Nakata then set up another goal when his fierce drive from outside the box was parried into the path of Vincenzo Montella, who duly equalised for Roma. The match ended with a 2-2 draw and Roma maintained a six-point margin atop the league table. 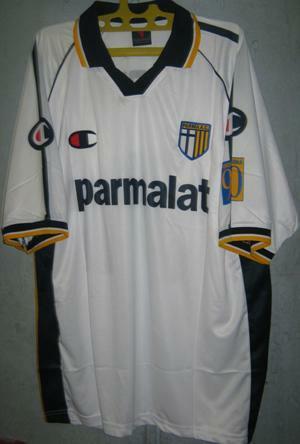 In the summer of 2001, he joined Parma where he played for two and a half seasons. In January 2004, Nakata joined Bologna where he played the remainder of the 2003–04 season before moving to Fiorentina, where he played the following season. Adriano Leite Ribeiro (born February 17, 1982 in Rio de Janeiro), commonly known as simply Adriano, is a Brazilian football striker. 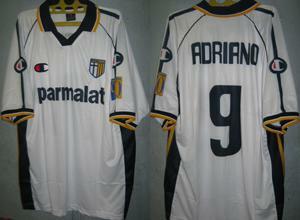 Adriano was loaned out to league rival Fiorentina for the 2001-02 season, after which a two-year co-ownership deal with Parma was agreed, which also included Matteo Ferrari. He formed an impressive striking duo with Adrian Mutu, scoring 22 goals in 36 appearances. 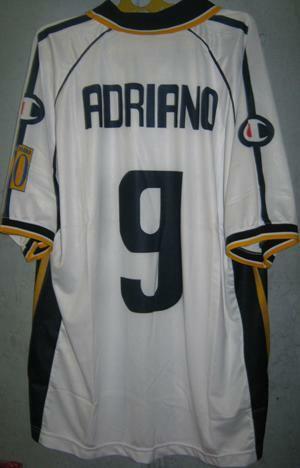 He missed the month of November 2003 due to injury.